Cosmetologists provide hair care services designed to enhance the appearance of a customer. They shampoo, cut, color, and style hair and may give advice regarding how to carry out proper hair care at home. Some cosmetologists are trained to provide pedicures, manicures, makeup analysis, hair removal, facial and scalp treatments, and the cleaning and styling of hairpieces and wigs. Work takes place in hair salons and it is common for self-employed cosmetologists to work longer than a 40-hour week. Cosmetologists spend much of their day standing and bending. They often work 40-hours a week, or even more, especially those that are self-employed. It is very common to work evenings and weekends, or whenever clients can come in. is the average earnings for cosmetologists per year. have some college, but no degree. A high school diploma or GED is required for those interested becoming cosmetologists. You will also need to complete a licensure program. Cosmetology school is required to complete the licensure in most states. Careers in cosmetology are expected to grow by 10% between 2014 and 2014 which is faster than the average occupation. The increase is due to the increase in the overall population. 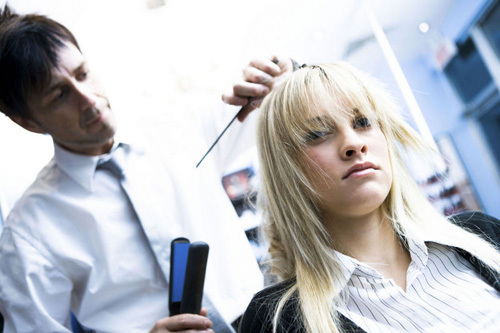 Higher paying salons experience more competition. Salaries for cosmetologists (including barbers and hairdressers) average around $23,710. Those with experience and talent can earn considerably more as do those who are self-employed. The field of cosmetology is broad. You may choose to specialize as a hair stylist, nail technician, make-up artist or skin care. Take a look at some of the tools you will need to master in order to work as a cosmetologist. What Do You Have To Do To Become a Cosmetologist?